Susan Morrow (Amy Adams) hears from her estranged, ex-husband Edward (Jake Gyllenhaal) for the first time in almost 20 years when he mails her an advance copy of his upcoming novel, "Nocturnal Animals." Not only is she surprised to discover that he's dedicated the book to her, but that he'd like to get together for dinner the next time he's in Los Angeles. Far more unsettling is Edward's semi-autobiographical manuscript which seems to be making thinly-veiled references to their failed marriage. While Susan had managed to move on with her life, it is suddenly apparent to her that he'd remained stuck in the past and might now be rehashing their relationship as a literary form of therapy. After all, back when they were dating, Susan had been warned by her imperious, well-heeled mother (Laura Linney) that she'd regret tying the knot with a romantic, aspiring writer from a relatively-humble background. Sure enough, the family matriarch knew best, as the mismatched couple did eventually divorce. However, while Susan went on to become a celebrated art curator and to remarry a businessman (Armie Hammer) who could afford to keep her living in the lap of luxury, Edward has yet to achieve anything approaching their level of success. Instead, the emotionally-stunted scribe has ostensibly been venting all of his angst in an opus that truly frightens his former wife. It is abundantly clear that the novel's unstable protagonist, Tony Hastings (Jake Gyllenhaal), is based on Edward, and that the salacious series of events chronicled in the oft-gruesome text are the product of a terribly troubled mind. The only reason Susan might even entertain the idea of a rendezvous with a man she hasn't even spoken to in a couple of decades, against her better judgment, is the fact that she's just learned that her second hubby is having an affair. 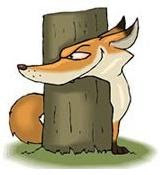 So unfolds Nocturnal Animals, a cerebral suspense thriller directed and adapted by Tom Ford from the Austin Wright best seller, "Tony and Susan." The movie's only Oscar nomination was landed by veteran thespian Michael Shannon in the Best Supporting Actor category. The film revolves around a sublime deconstruction of Susan's shifting mental state, from her present-day predicament, to flashbacks of her relationship with Edward, to her perspective of disturbing scenes from his unpublished novel. A haunting deconstruction, worthy of Hitchcock, of a vulnerable socialite's very fragile psyche. 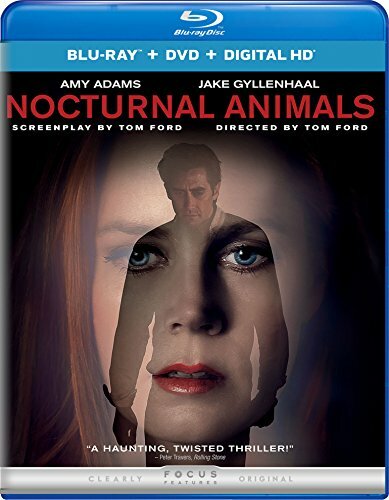 Blu-ray/DVD Combo Pack Extras: Three Making of Nocturnal Animals featurettes: Building the Story; The Look of Nocturnal Animals; and The Filmmaker's Eye: Tom Ford.